Mr. Lee has served as Chief Executive Officer and Chief Investment Officer of Oaktree Strategic Income Corporation and Oaktree Specialty Lending Corporation since October 2017 and currently serves as a Managing Director and the portfolio manager for Oaktree’s Strategic Credit strategy. Previously, he was an investment professional within the firm’s Distressed Debt group and led a number of the group's investments in the media, technology and telecom industries. 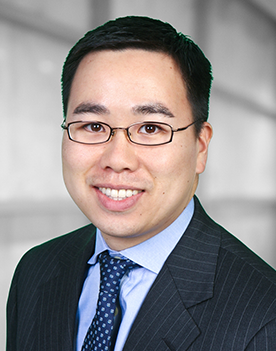 Prior to joining Oaktree in 2007, Mr. Lee worked within the Investment Banking division at UBS Investment Bank in Los Angeles, where he was responsible for advising clients on a number of debt and preferred stock restructurings, leveraged financings, buy-side and sell-side M&A, mezzanine financings and recapitalizations. Before that, Mr. Lee was employed within the Fixed Income division at Lehman Brothers Inc. Prior experience includes work at Katzenbach Partners LLP and the Urban Institute. He received a B.A. degree in economics from Swarthmore College and an M.P.P. with a concentration in applied economics from Harvard University. Mr. Lee serves as a director of Neo Performance Materials and previously served on the boards of Nine Entertainment and Charter Communications.